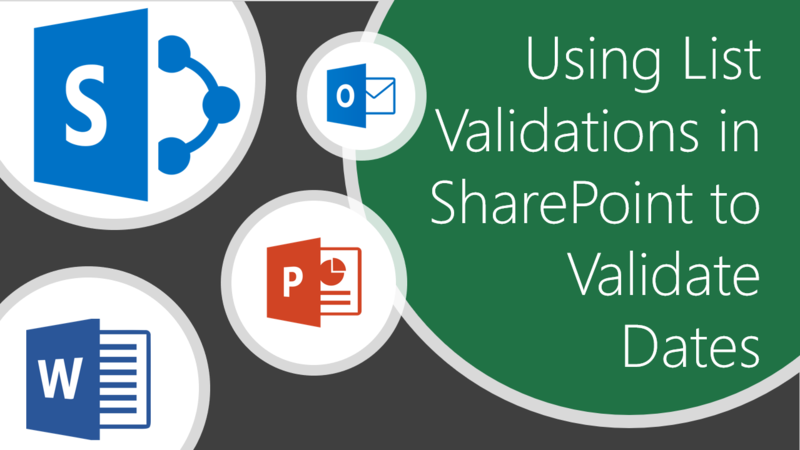 Here’s another great OTB function in SharePoint, that allows you to validate the data in your list, which gives the user an error on the form. In this example I’ll show you how to validate that a delivery date must be greater than an order date, and I’ll show you how to add the numbers of days for validation as well in a second example. Keep in mind that this is also available in SharePoint On-Premises versions.